In SA, Bitcoin ATM adoption is still in its early stages. Virtual Crypto Technologies, an Israeli-based developer of software and hardware for crypto-currencies via ATMs and point-of-sale (POS) systems, is aggressively making forays into the South African market. The company has signed on a new distributor for its Bitcoin ATMs and POS systems, among other crypto-currency products. YOU#, a South African-based fintech company that provides turnkey crypto-currency mining, this week announced it secured a distribution agreement with Virtual Crypto. In August, ITWeb reported the Israeli-based Bitcoin ATM maker entered an exclusive distribution agreement with third-party company, Virtual Crypto SA, to begin selling Virtual Crypto's products in the Southern African region. In June, Virtual Crypto unveiled its NetoBit ATM, a bi-directional platform that enables users to sell Bitcoin, in contrast with most Bitcoin ATM platforms, which only allow the purchase of the digital currency. The company claims NetoBit ATM is the world's first and only ATM that allows real-time conversion, purchase and sale of Bitcoin. The product, which already supports most common currencies, is available for purchase globally. NetoBit ATM is the second product in Virtual Crypto's NetoBit software and hardware products portfolio. In April, the company launched its first product, NetoBit Pay, a retail point-of-sale device that enables businesses to receive payments in Bitcoin in real-time. You# says to date, one of the real barriers to overcome for businesses and consumers alike has been the delay in completing crypto-currency transactions to the point that they are impractical for face-to-face transactions. The fintech company says Virtual Crypto has managed to overcome this through a proprietary validation algorithm that predicts, with a high degree of accuracy, whether the Bitcoin trade will be confirmed by the Bitcoin network, thereby making transactions virtually instant. "We were immediately impressed by the NetoBit point-of-sale product range developed by Virtual Crypto," says Ari Leibovitz, YOU# founder and blockchain expert. "It really sets the standard for execution speeds at low costs; something that is a game-changer, particularly in this region." "With South Africans recently 'Googling' the word 'Bitcoin' more than any other country in the world, it's clear that this isn't just a passing interest in digital currencies, but that Bitcoin and crypto-currencies in general are here to stay," says Alan Robertson, YOU# co-founder. "YOU# intends targeting retail businesses in South Africa, where quick transactions aren't a luxury, but a necessity. These will range from coffee shops to shopping centre tenants to tourist-related vendors," he adds. According to Robertson, whereas purchasing online is a simple and efficient experience using Bitcoin, the ability to transact at POS has always been a challenge because of the time needed for the transaction to be validated. "Now that this hurdle has been overcome, you will soon be able to do your retail shopping or pay for dinner using your Bitcoin. The fact is in the not too distant future, we won't be transacting with paper money, bits of metal and little plastic cards. 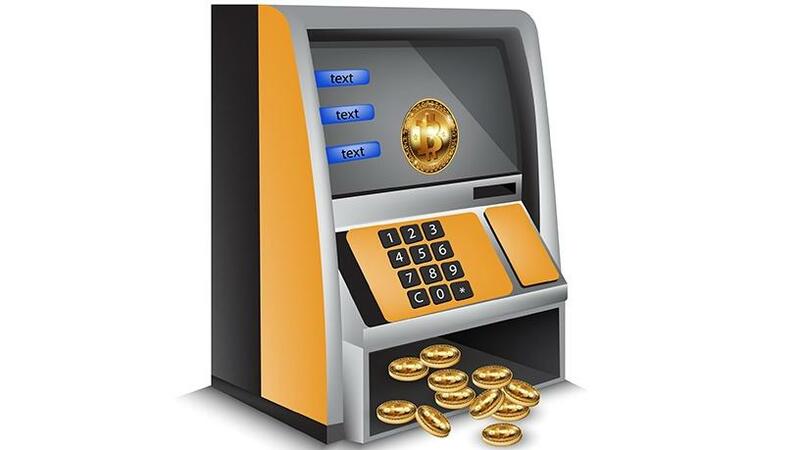 It will be with our mobile banks (smartphones) and using digital currencies such as Bitcoin." Alon Dayan, CEO of Virtual Crypto, says: "Crypto-currency is increasingly popular in the Southern African region, which is a strong emerging market. Crypto-currency provides investors and businesses with an opportunity to diversify their portfolio. In addition, Virtual Crypto's solutions offer businesses and consumers a secure payment alternative with real-time availability and broad accessibility." "With African countries boxing above their weight in terms of Bitcoin holders per capita: Nigeria (3rd), Kenya (5th) and South Africa (6th), while their GDPs sit at 140th, 149th and 101st, respectively, there has never been a better time to introduce solutions that make day-to-day transacting simple, secure and instant," says Robertson. In SA, Bitcoin ATM adoption is still in its early stages. According to Coin ATM Radar, there are over 3 000 Bitcoin ATMs globally. In SA, a Johannesburg-based Spar outlet in May unveiled a crypto-currency ATM. The machine originally launched in SA in 2014 to offer Bitcoin purchases. It allows users to purchase digital currencies like Bitcoin, Litecoin and Ethereum with the South African rand.